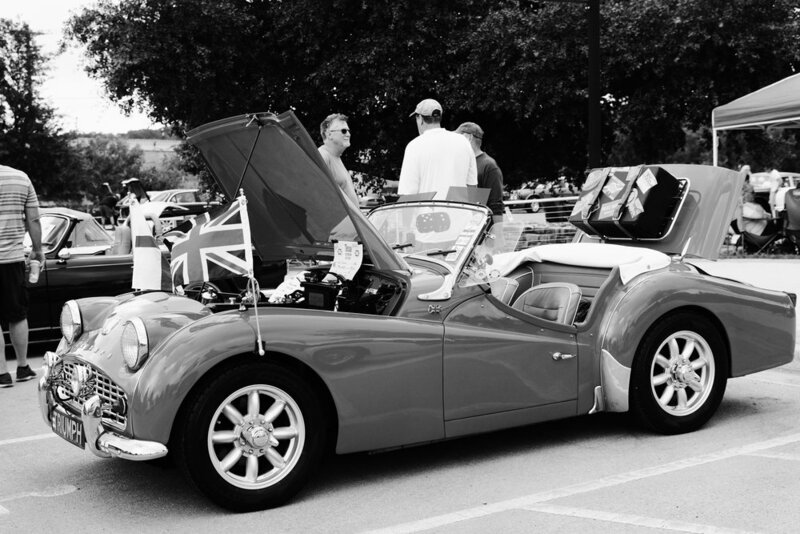 I noticed that there was an all-British car show going on in downtown Round Rock, TX a couple weeks back. 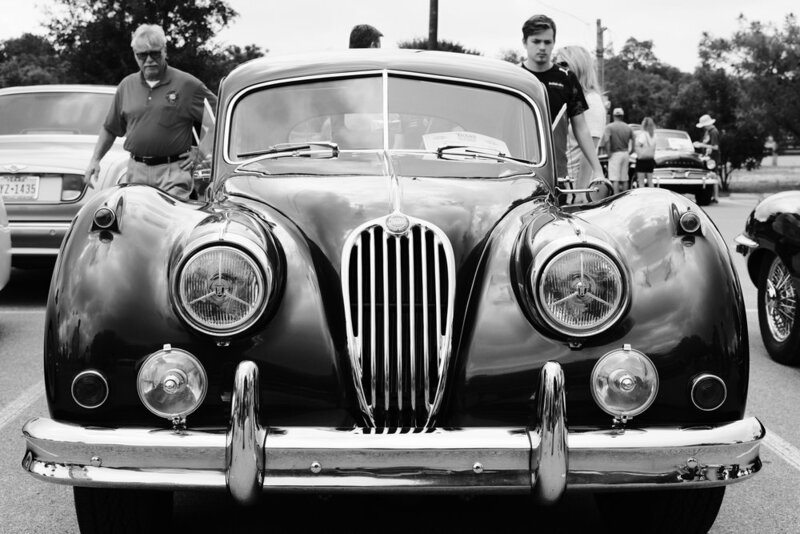 Always a sucker for a good car show, I headed down with my Fujifilm X100F and newly acquired TCL-X100 II conversion lens. This was as good an excuse as any for this car and motorcycle buff to try out that combination. Normally I'd opt to shoot at a car show with the X100F's native 35mm-ish FF equivalent lens. 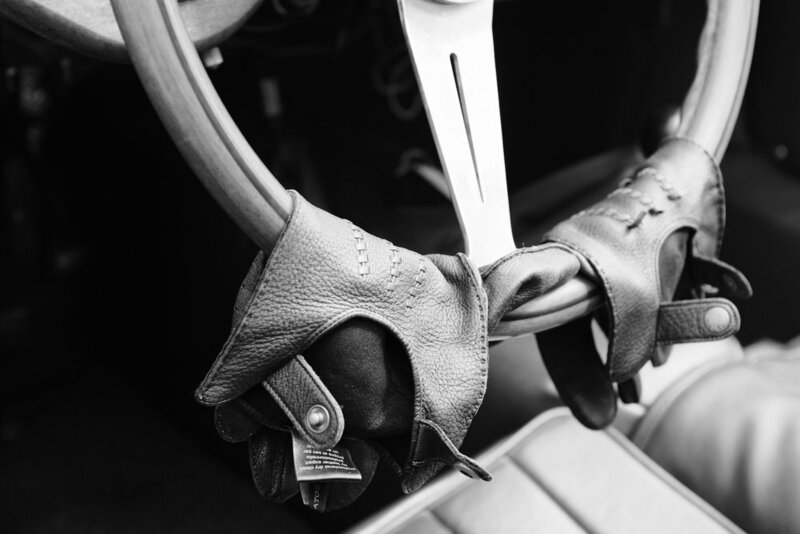 A 35mm equivalent focal length is kind of a Goldilocks lens for me when photographing cars. Not too wide, not too constricted - just right. a 50mm equivalent using the conversion makes things a little more difficult to compose but luckily there was plenty of room to move around and back up as needed. If the future, I'll swap the conversion lens off and on but being that this was my first outing with it, I wanted to give it a thorough workout to get a good feel for it. There were lots of beautifully restored machines out there. 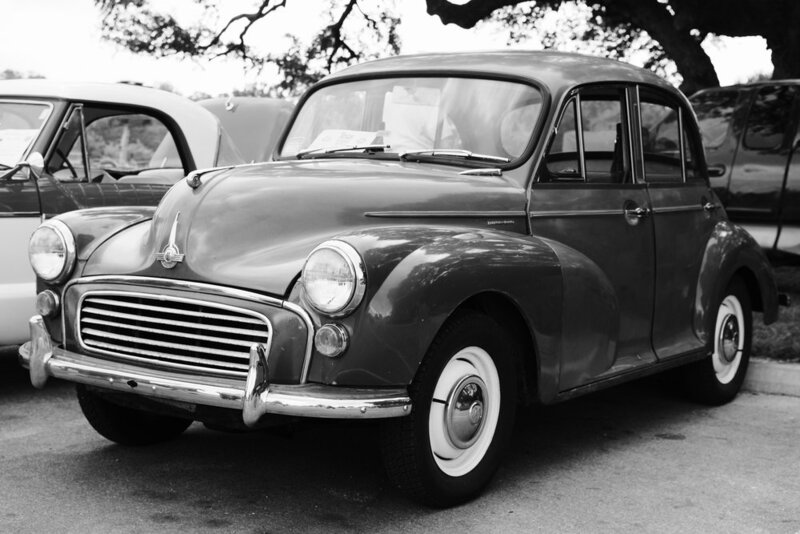 While I'm not a particularly huge Anglophile when it comes to cars, I do appreciate a good classic car of any origin. 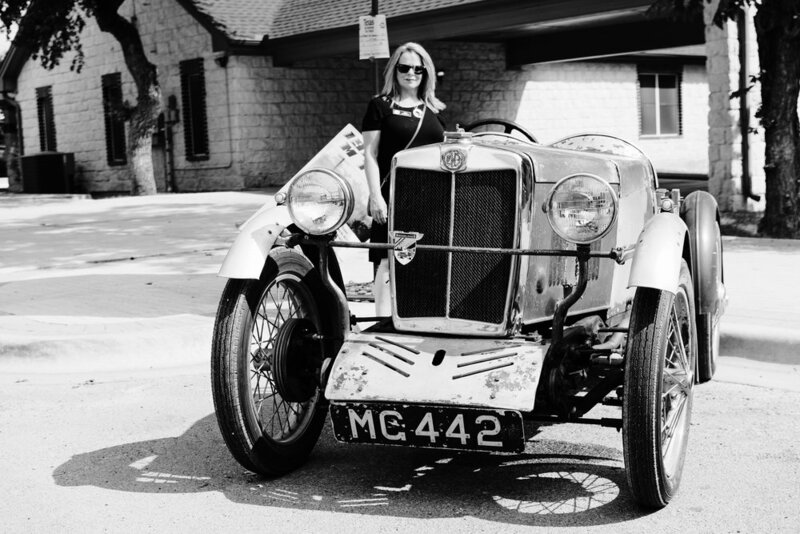 I enjoyed walking around and seeing all the Austin-Healeys, Triumphs, Jaguars and other great British marques. They aren't common sights in these parts. Enjoy a few of my favorite sightings. All photos were taken with a Fujifilm X100F with TCL-X100 II conversion lens (~50mm FF equivalent), Acros film simulation. Check out more photos from the show on my gallery site.